One thing about George North that never fails to astonish – more striking even than the staggering raw materials of pace, power and prodigious finishing ability – is his age. The affable Wales phenomenon has not yet turned 23. Frankly, it seems ludicrous. He could quite conceivably terrorise defenders for another decade. Before getting too carried away, we must remember one crucial caveat. Careful management will be integral to the longevity of this astounding athlete. 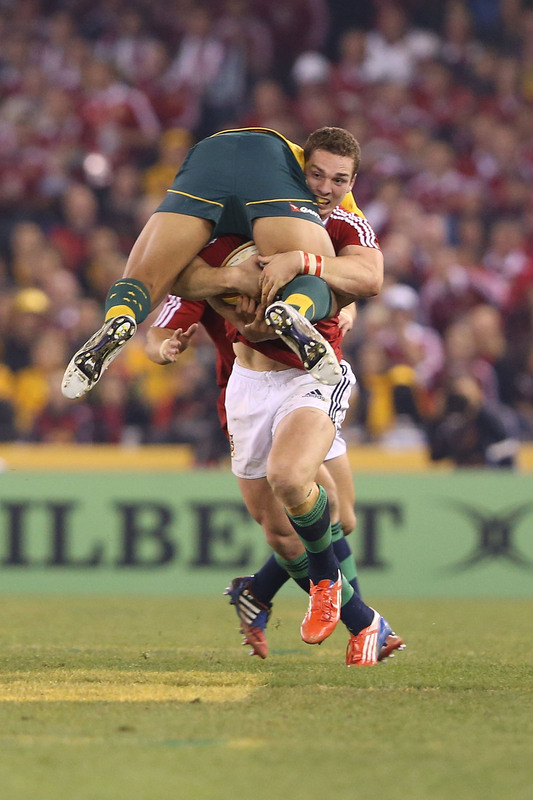 Jaw-dropping brilliance on the 2013 Lions tour to Australia propelled him into the rugby stratosphere. 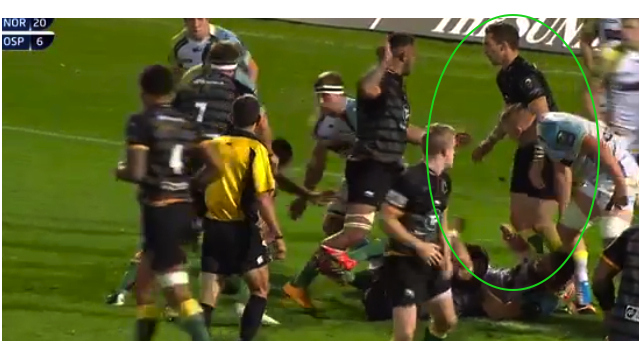 However, a subsequent summer move to Northampton Saints meant immediate immersion in the grind of an Aviva Premiership schedule – hardly a soft landing. Put simply, North spent most of last term looking spent. Sure, there were fantastic performances every now and then, but while Saints stormed to the domestic title, their rockstar wing appeared too physically and mentally exhausted to offer any concerted consistency. Looking back, we should not be too surprised. North’s 2012/3 campaign encompassed 2,370 minutes for club and country, finally wrapping up on July 6 in Sydney. At times, things must have been tortuous the next season. Fatigue can form a horrible type of claustrophobia. Essentially, North’s desire to impress and hit the ground running was confined by his own body. All that feels like ancient history now. Refreshed and replenished, North has been full of verve since September, resembling his true self – a devastating weapon – week in, week out. All Black Julian Savea is another fit to eat at the top table – and with 29 tries from 29 internationals he is evidently hungry. This pair of behemoths potentially go head-to-head at Millennium Stadium on November 22. The ground will shake. 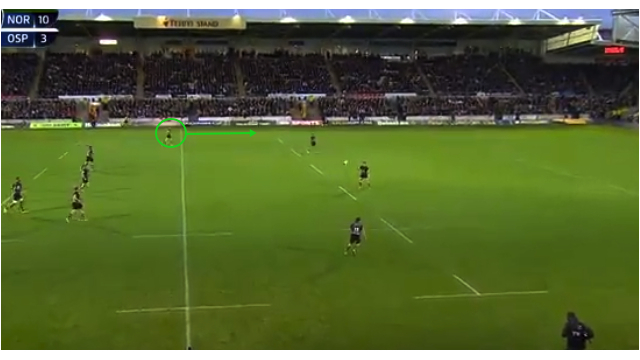 At first glance, this is a straightforward walk-in, and North does eventually stroll over the line unopposed without even needing unmarked Jamie Elliott to his left. Still, this score would have delighted Jim Mallinder beyond mere aesthetics. 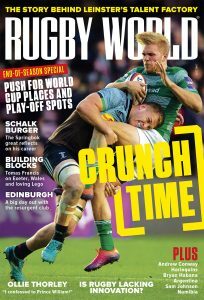 Turnover ball and the transition between defence and attack is a hugely fertile source of tries in modern rugby, but a team must be cohesive to take advantage. This particular opening comes about from disruption. 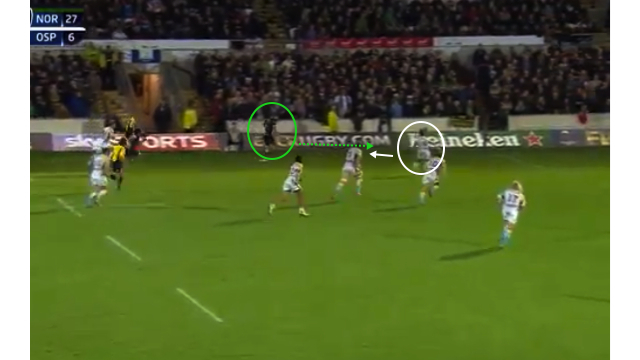 Lee Dickson harries at the base of the ruck and Tom Wood rushes through, hitting Ospreys scrum-half Rhys Webb in a burly tackle before getting to his feet and blasting over the ruck. Once possession is secured, the reaction is rapid and the awareness impressive. North himself demonstrates supreme poaching ability to realign in a dangerous position. By no means is North reinventing the wheel here. Rather, he is instinctively following the basic principals of finding space. 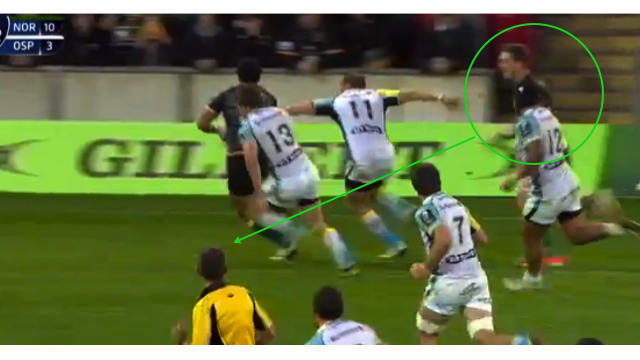 Cutting against the grain, his speed and strength are too much for wrong-footed Ospreys defenders once Pisi’s pass is gathered. 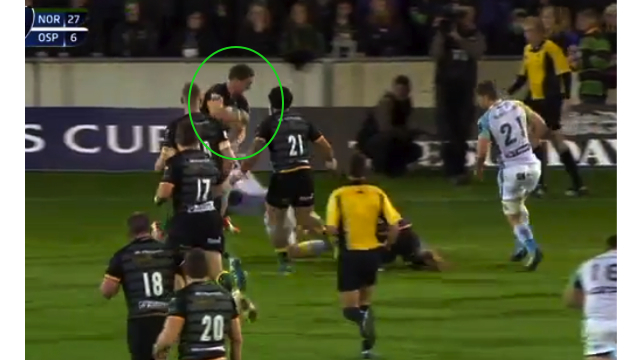 James Hook is another Welsh exponent of this skill, and often manages to rip the ball loose of attackers if their presentation of the ball in contact gets lax. 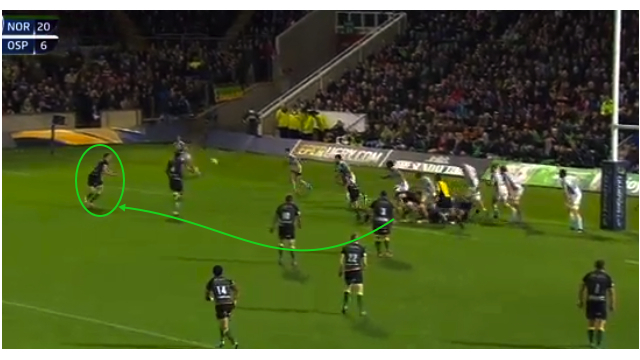 For North to make a clean steal is something else altogether though, and foreshadows an electric try. From there, the afterburners go on to awesome effect. For all of Warren Gatland‘s talk of building slowly towards the World Cup, clashes with Australia, Fiji, New Zealand and South Africa next month are extremely important for Wales. A run of no wins from 20 attempts against ‘big three’ opposition must stop. To have North in top form is a welcome boost.